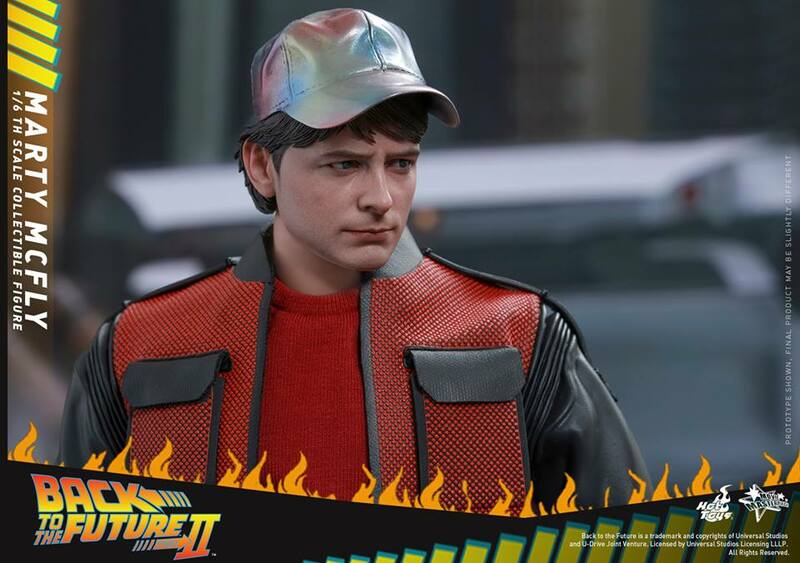 In the classic sci-fi film Back to The Future Part II, the time-traveling duo Marty McFly and Dr. Emmett Brown have went to the future the 2015 in order to save Marty's future son from disaster. 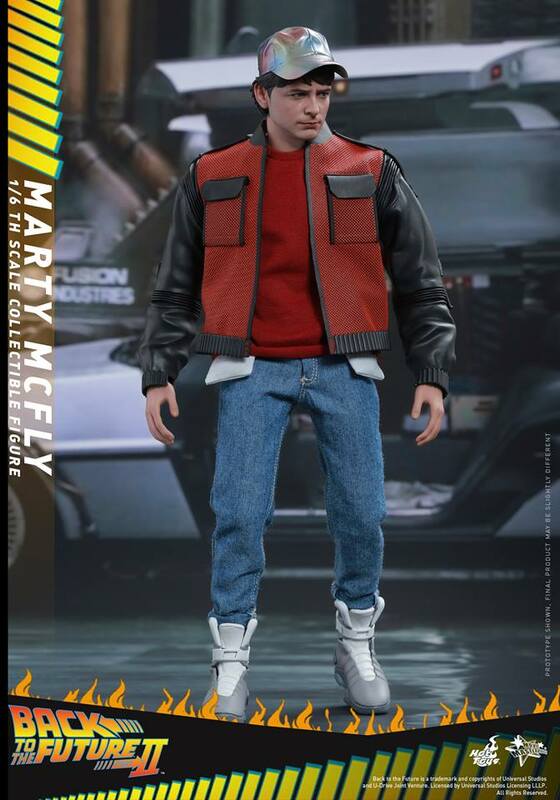 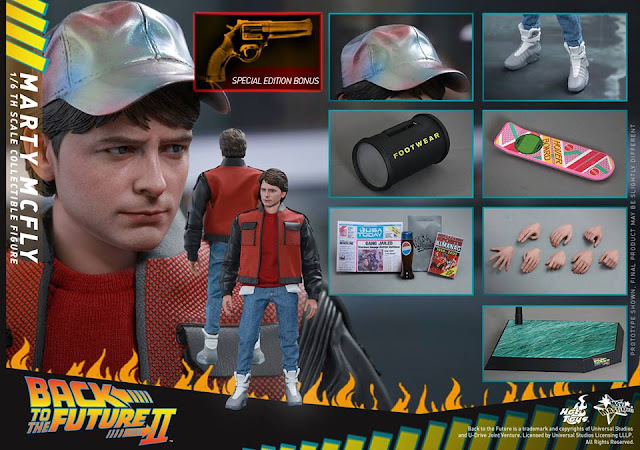 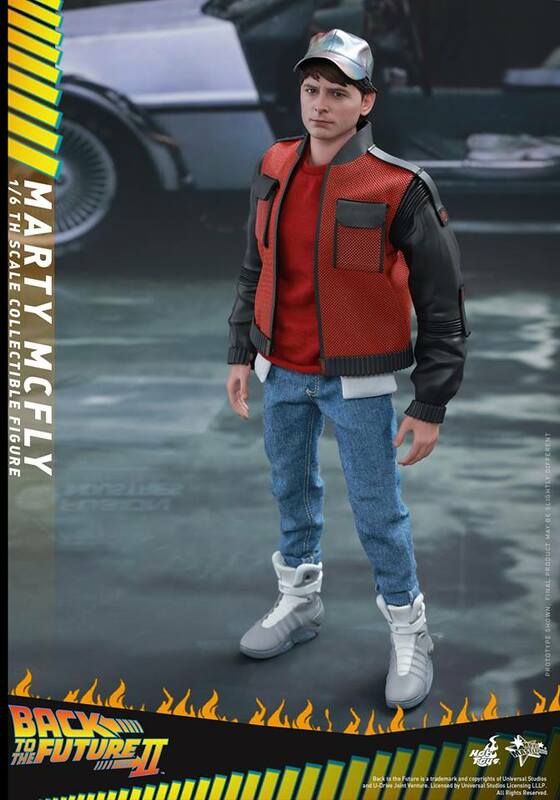 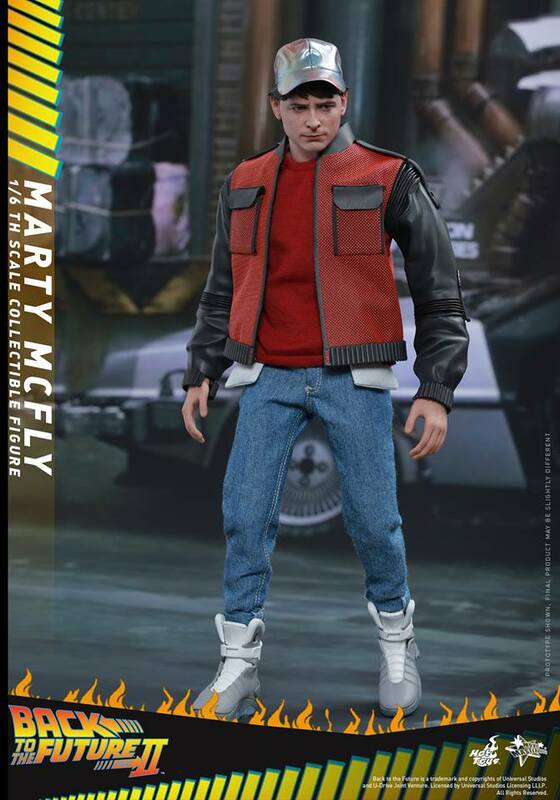 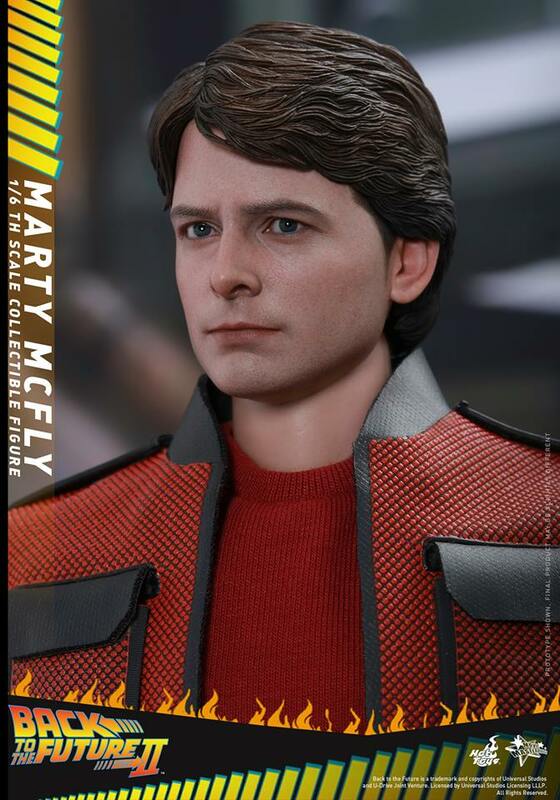 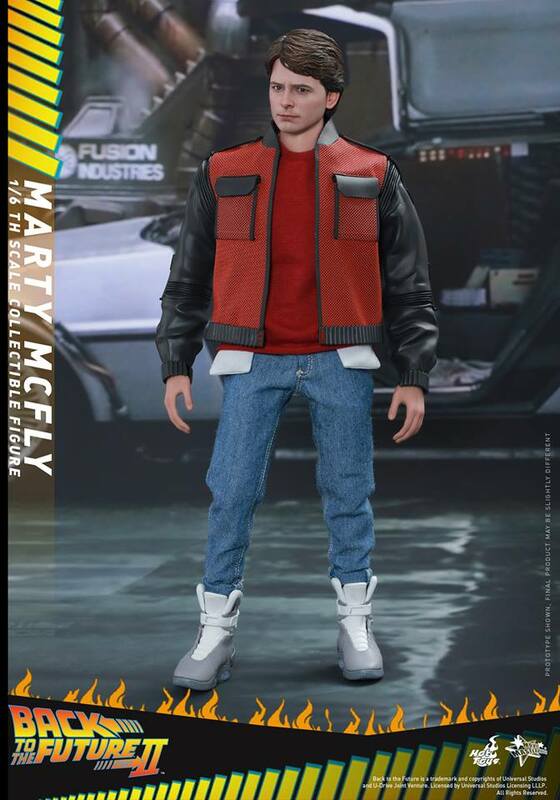 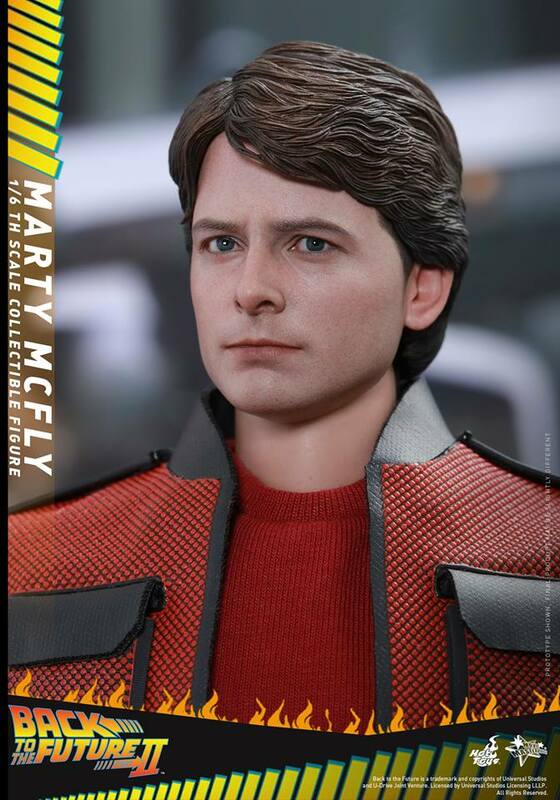 Its representation of the year 2015 has been the favorite moment for many fans of the movie, and today Hot Toys is very excited to officially present the all-new 1/6th scale collectible figure of Marty based on his memorable “future” look in this Back to The Future sequel! 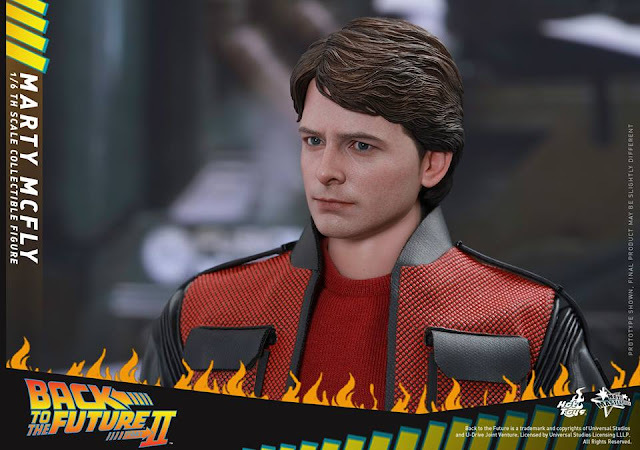 The movie-accurate collectible figure is specially crafted based on the image of Michael J. 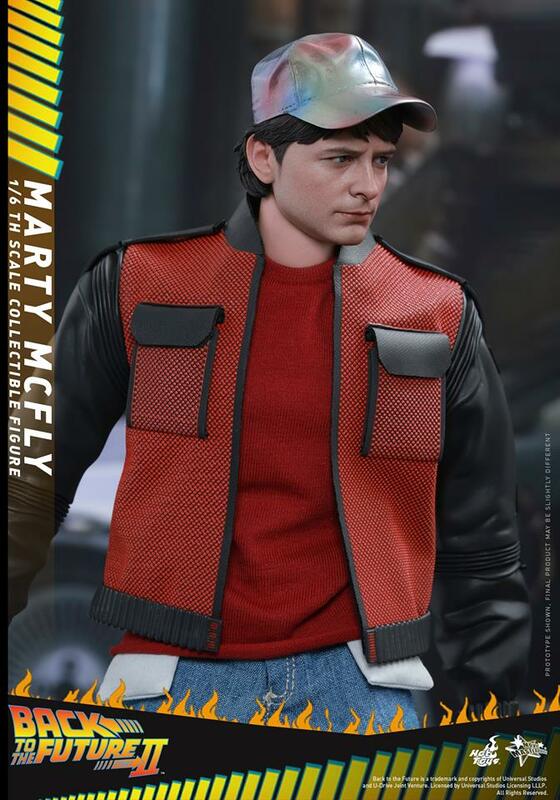 Fox as Marty McFly in his 2015 outfit in the film. 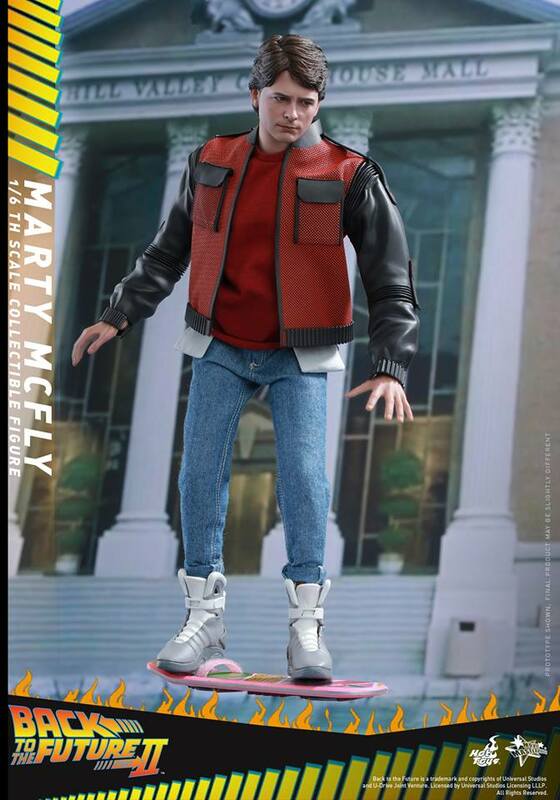 It features a newly developed head sculpt, meticulously tailored costume including the iconic futuristic running shoes, a selection of detailed accessories such as hover board, multi-color cap, future soft drink bottle, sports almanac, and a specially designed dynamic figure stand perfect for hover board skating poses.